Alaska Native News Sep 10, 2018. An Anvik man and one otherwere caught actively burglarizing the Grayling Native Store on Sunday after the store manager went to the business to investigate suspicious activity around the store on Sunday afternoon. 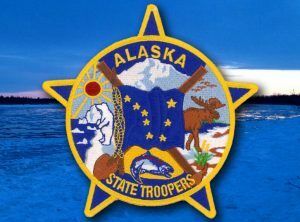 The store manager in Grayling called Aniak-based troopers and reported the incident at 1:46 pm on Sunday after discovering the burglary and burglars. He had been alerted to the activity and went to investigate. When the manager arrived, he “noticed damage to the front door and observed someone was still in the store,” troopers said. Community members came to the manager’s aid and would find “Christopher Kruger, 19 years old of Anvik, and another male hiding in the store,” it was reported on the trooper dispatch. The investigation would also find that the duo caused over $3,200 worth of damage gaining entry to the store. Troopers say the investigation is continuing.